As restaurants try to drum up alternative revenue and traditional retail outlets continue to feel the squeeze from online shopping, Roman and Williams Buildings and Interiors has brought the best of both worlds at their new flagship store in SoHo. The 7,000-square-foot design store, café, and flower shop, neé Roman and Williams Guild, is a showcase of Roman and Williams’ work. Here, diners can lick the plate clean and then buy it. 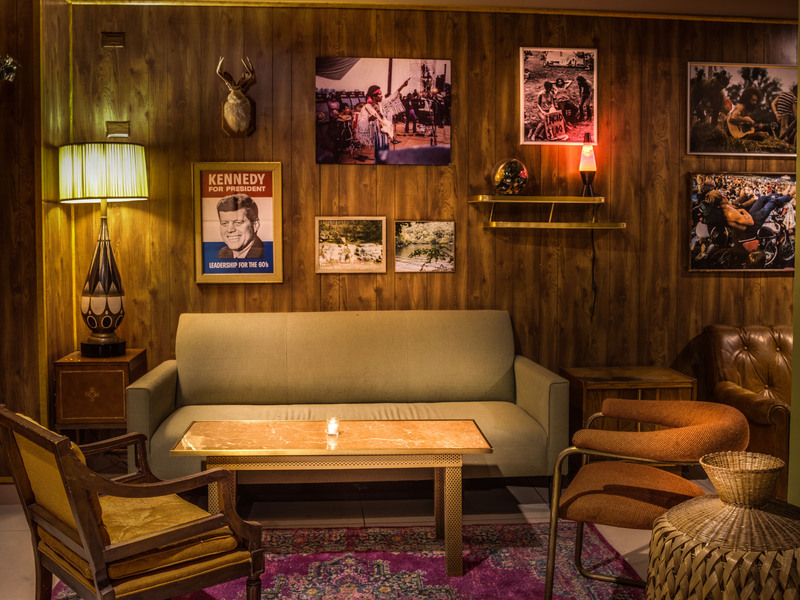 Roman and Williams is well known for their work at the Standard Highline and ACE Hotels as well as high-end residential projects. 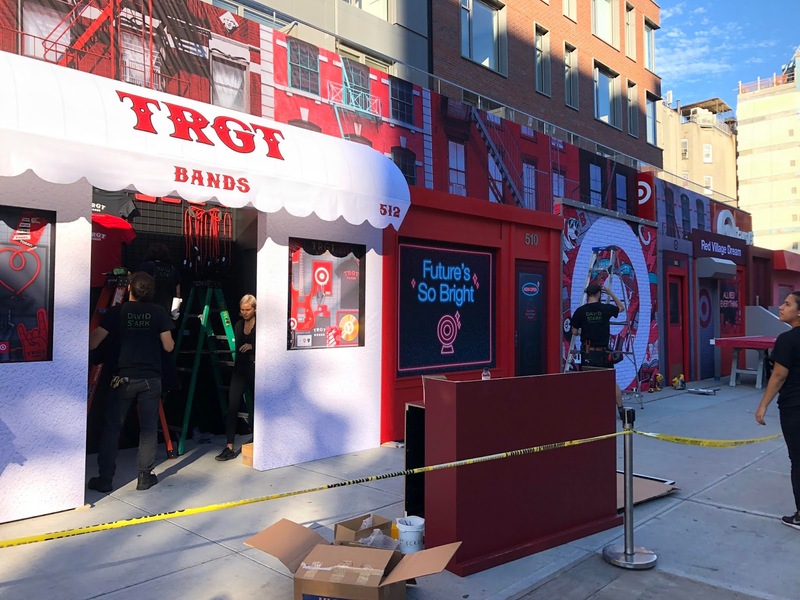 Expanding into a consumer-facing brick-and-mortar space in an expensive Manhattan neighborhood seemed like a natural progression. The 44-seat La Mercerie café within the Guild is built out with pieces from Roman and Williams' new Founding Collection, and everything is for sale. 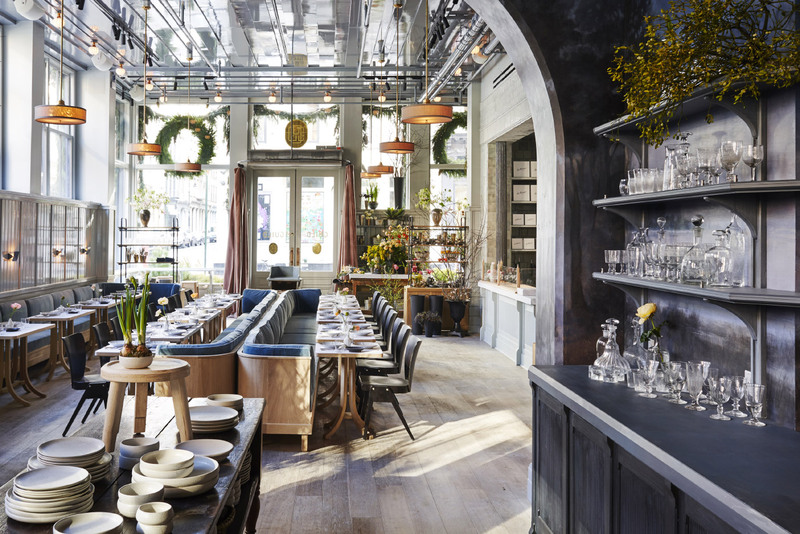 The café’s light interior palette of blonde wood and pastel blues, described by Roman and Williams as “watery-blue cast, pale-gray floors and an indigo enameled kitchen” matches the exterior of the landmarked building. But walk to the back of the restaurant and through the arched threshold, and those muted colors are replaced by deeper hues of blue and a more rustic tone in the back showroom. This is where interested customers can pick up pieces in a more traditional design setting, with a heavy emphasis on wood, leathers, and fabrics. The Guild also houses a flower shop helmed by local botanist Emily Thompson, and her arrangements can be found throughout the entirety of 53 Howard Street. A massive light-filled loft on 5th Avenue is a prime canvas for interior architecture. Unless, of course, the client brief requests eight treatment rooms, a nutrition center, two cryotherapy care centers, a reception area, a retail area, and a few support spaces to go along with it. Then, things get considerably more complicated. 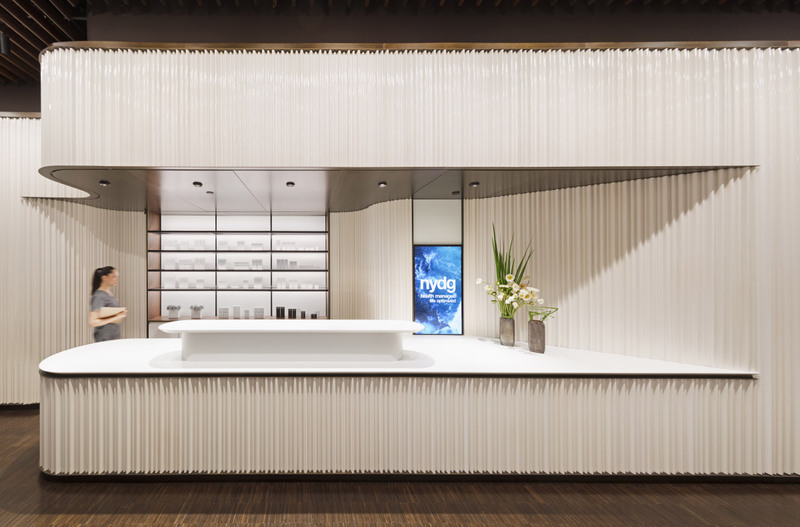 These were the opportunity and the accompanying complications architect Brandon Haw faced when he was tapped to design the New York Dermatology Group (NYDG) Integral Health and Wellness flagship office by his friend Paolo Cassina, the Italian designer. “We grappled with the idea of how we could put this much activity in this wonderful, big space and yet somehow hang on to the light and volume,” Haw said. “With that in mind, I began to play around with the idea of these light, ethereal curtains around the treatment rooms. As the idea of the curtains started to gel, we asked, ‘What if we created a pod and put that in the middle, so that you come into the reception area along the very large windows overlooking 5th Avenue and then follow that line of windows around to your treatment room?’” Haw began sketching a wavy line suggestive of such a curtain and was considering a modular screen system when he and Cassina spoke with Fabio Rombaldoni of Sailing, who had worked on a number of residential projects as well as yacht interiors. The trio came up with the concept of using a yacht-hull maker to fabricate four different panel molds that joined together seamlessly to form an organic, wavy pod in the center of the space. “It was custom-made by hand in Italy, and it was quite amazing,” Haw explained. “The panels are imbued with color and the consistency by the process itself with no external spraying or painting.” The opalescent white fiberglass panels were mapped out in Italy at full scale like a giant puzzle and then exported to the United States where they were assembled. Haw and his team paired the subtle, shimmery white pod with bronze fittings and used the existing industrial dark-wood flooring. Then they lowered the ceiling plane by creating a bespoke wood baffle so that the eye would be drawn up to the edge of the 11-foot-tall pod and then to the sleek wood planks. To continue the airy aesthetic in the enclosed treatment rooms, Haw selected pulverized quartz flooring that is bright and a little sparkly but extremely durable and easy to clean. To outfit the rest of the office, Haw and Cassina delved into what they felt a wellness space should be: “sumptuous, luxurious, comfortable,” Haw said, where people feel “comforted, but at the same time get a sense of clinical efficiency.” To truly embody those descriptors from wall to wall, Haw and Cassina designed a line of contract sofas, seating, and side tables specifically for the NYDG office that will be commercially available later this year. The furniture is sleek, with unexpected cutouts and an emphasis on smaller love seats, which accommodate one or two persons, rather than long sofas. (You might have a friend with you, but when was the last time you cozied up with random fellow patients? Exactly.) “The way I come at architecture and design is all about the use of the space and lifting the spirits of the people functioning within the spaces—both the clients who are coming in and the employees who are there every day. Timeless elegance was at the forefront of this project, and there was a great attention to detail.” This attention to detail and creative process make the paradoxical space—open and private, light and dark, comfortable and clinical—look and feel just right. 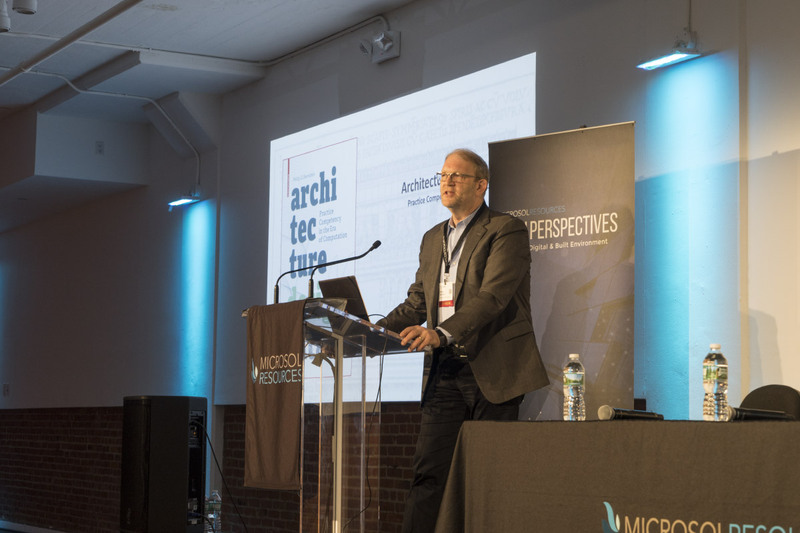 The second annual TECH+ Expo, presented by The Architect’s Newspaper, has returned to Manhattan with a bevy of vendors, lectures, and talks about where architecture, engineering, and construction (AEC) are headed. After a round of breakfast and networking on the expo floor, president and founder of programming partner Microsol Resources Emilio Krausz and AN’s publisher Diana Darling took to the TechPerspectives main stage to welcome attendees and introduce the two keynote speakers. Dennis Shelden, director of the Digital Building Laboratory (DBL) at the Georgia Institute of Technology, took the opportunity to discuss the challenges (and opportunities) that technology brings to the interoperability between AEC industries. Virtual reality, and the integration of models with the ability to walk through and coordinate with the trades, could ultimately save money and time for everyone. And looking ahead even further in the future? Augmented reality, where VR is projected into the real world, could help visualize projects in real time and could ultimately lead to a “Minority Report”-style future. Architect, technologist, and newly appointed associate dean of the Yale School of Architecture Phil Bernstein followed up with an industry keynote on computational design and integration. The field has already moved from hand drafting to CAD, and then into BIM, so what comes next? Bernstein presented six points that he felt were the next logical stepping stones, from using big data, to improving computational design, to integrating machine learning into the design process. 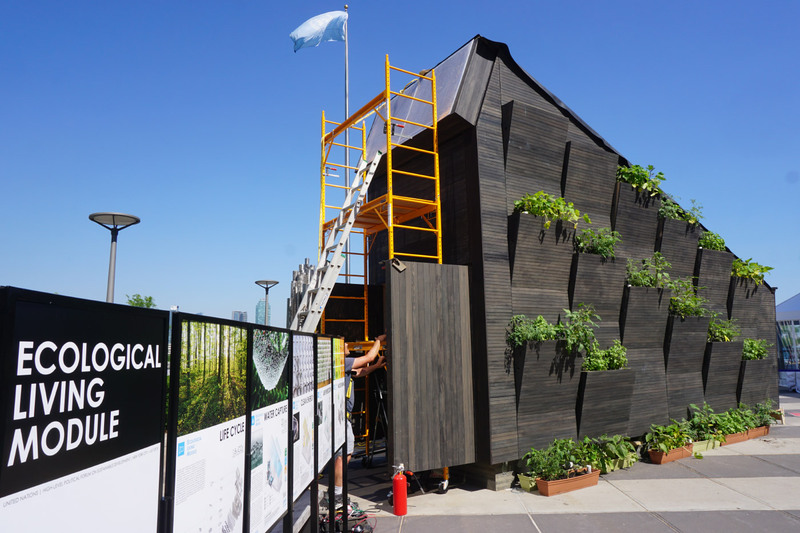 The availability of data and cloud computing power could eventually help architects design more optimized buildings and reduce the waste that comes when expectations don’t line up with how a building actually performs in the real world. The New York Times has dropped new renderings of the Rogers Stirk Harbour + Partners-designed One Beekman, Richard Rogers’ first residential building in the U.S. 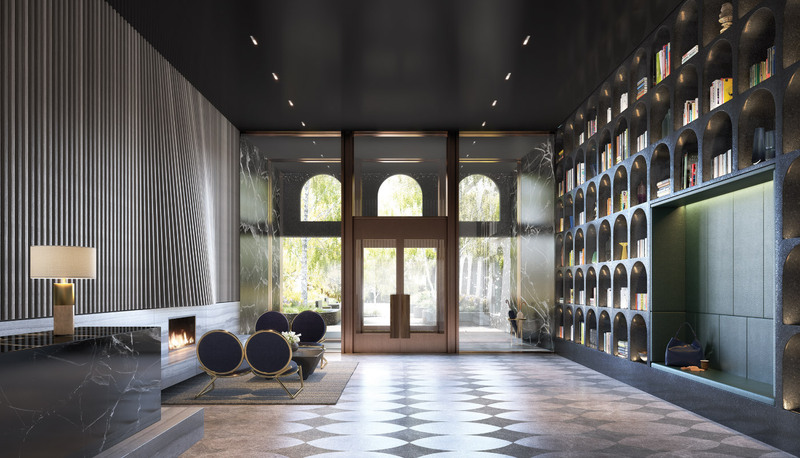 Although the 25-story mixed-use tower began rising in Tribeca in 2017, this is the first time that polished renderings have been released–including a glimpse at the spacious interiors. One Beekman is rising at the intersection of Park Row and Beekman Street diagonally across from City Hall Park. The entire building has been oriented for this view, with the circulation core shifted south, allowing each living room in the 31 condo units to look out on the park through oversized windows. 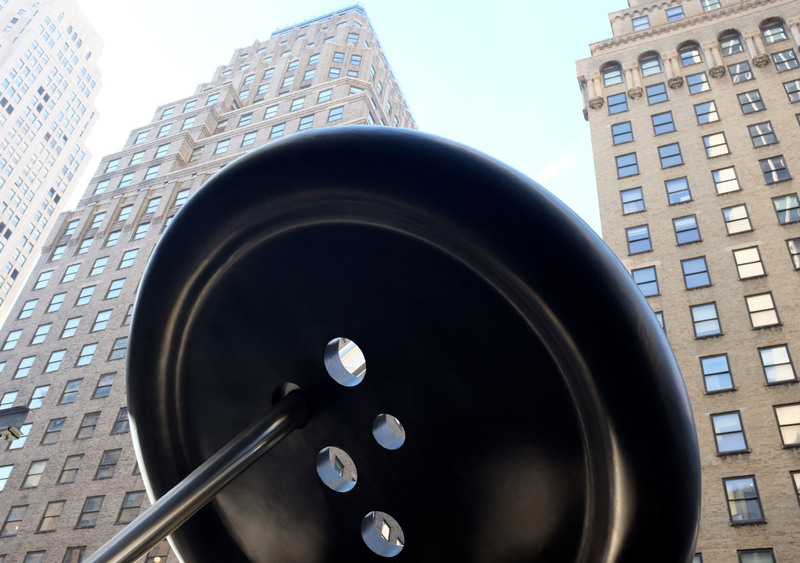 This was also borne out of necessity; COOKFOX’s 54-story Park Row will be rising directly behind One Beekman. 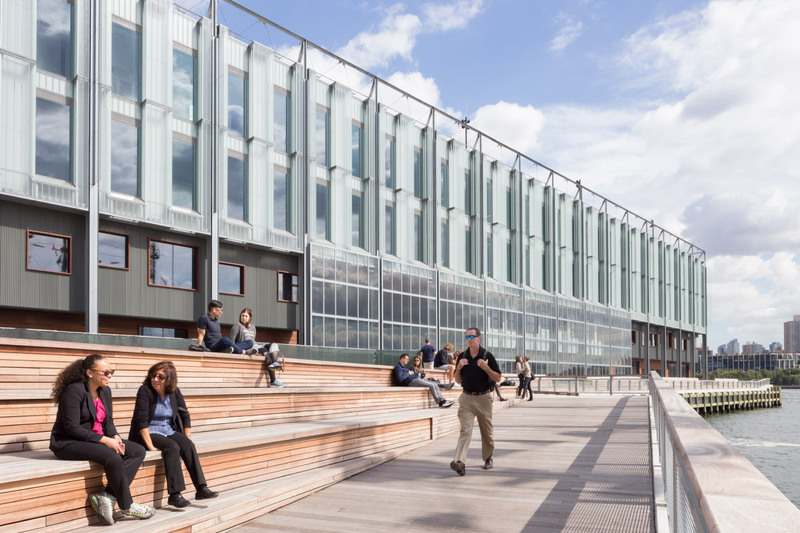 “We pulled the core right to the back, where there isn’t any view, and made the building very solid there,” Graham Stirk, the partner leading the project, the Times. 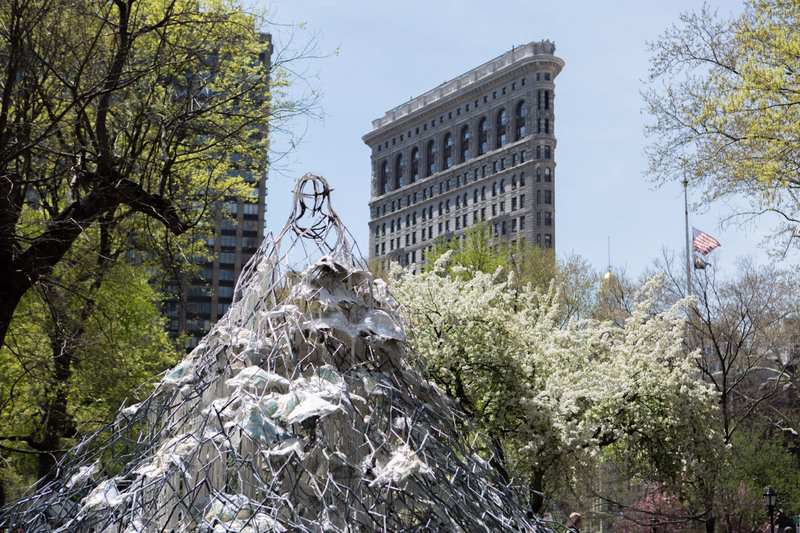 The newly revealed aluminum facade extrudes from the tower’s bulk and divides to frame individual windows, aping SoHo’s cast-iron buildings and giving residents access to their own park-facing loggias. Perforated copper screens will infill the spaces between the building’s framing and the facade, the warm color of the metal referencing the brick and terracotta of the Beekman Hotel across the street. Retail space will go up on the first two floors, with office spaces on the third and fourth, amenities for condo owners on the fifth, and residential units proper starting on the sixth floor. Moving the residential section upwards has the beneficial side effect of preserving views of the park for the tower’s residents. Inside, Rogers has used a clean and light material palette for the residential areas. White oak flooring, “Tundra Grey” marble, and white-grey concrete lends the whole space an airy feel, and condo owners can expect a gym, yoga studio, common outdoor terrace, and an entertainment space on the fifth floor. Developer Urban Muse and real estate firm Compass are launching sales later this month, with prices ranging from $2 million all the way up to $14 million. 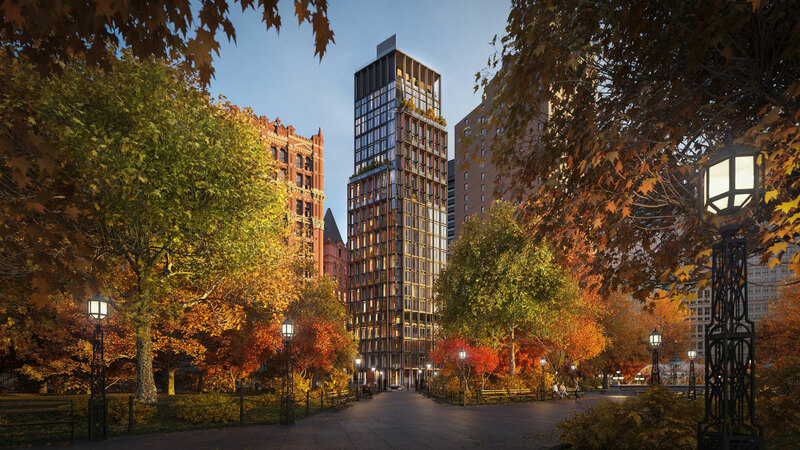 Construction is moving swiftly, with One Beekman expected to top out this month and wrap construction in the middle of 2019. Rogers is no stranger to downtown Manhattan; the firm's 3 World Trade Center is nearly complete and slated to open on June 11th.